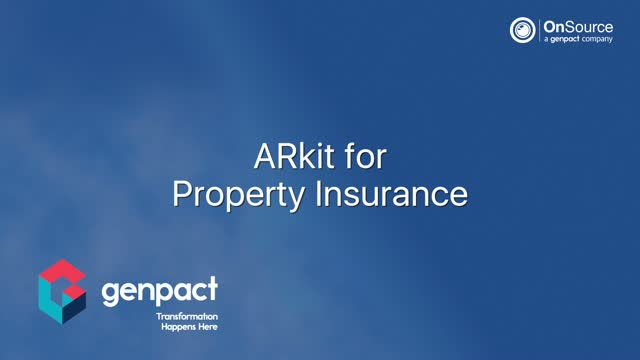 Augmented reality support for property claims in now itself a reality in this new mobile app. It enables extremely detailed measurements and contents inventory to be done in minutes, and then quickly transformed into exact 3D models that property insurance carriers can use to establish cost as well as process a subsequent claim faster and with much improved accuracy. New types of risk are constantly emerging to disrupt the financial services industry. As a result, institutions urgently need to evolve their strategic risk management (SRM) capabilities to allow for better, faster forward-looking risk assessments. To take stock of the current status and the planned evolution of strategic risk capabilities, Genpact and the European Risk Management Council joined forces to survey the industry, the results of which were published in the last quarter of this year. Achieving a continuous financial close process – or even on-demand close – is the goal for many organizations, but there are a number of foundations to put in place first. Customer expectations around banking are changing at an unprecedented scale. At the same time, advances in digital technologies offer significant opportunities to shape and fulfill these evolving expectations. A recent Genpact survey of 6,000+ consumers across the US, UK, and Australia reveals powerful new insights in this realm. As banks become increasingly digital – success requires seamless integration between the front, middle, and back offices. Join us on this webinar as we share our findings and provide examples of how to deliver and measure a consistent, high-quality experience across channels to create engaged, loyal customers. Digital can be transformative and drive heightened efficiencies for the finance function if leaders facilitate the process and allocate resources to it, Morten Mosegaard Christensen, executive vice president, head of group finance, Danske Bank told Genpact in a video interview. Very soon global companies will have to comply with the new lease accounting rules but they cannot do it on their own. Genpact and LeaseAccelerator jointly offer a unique and outcome-oriented solution that helps companies achieve compliance efficiently by the deadline. Vivek Saxena, SVP Record to Report, discusses the challenges facing finance teams with record to report (R2R) and how they can transform operations with digital technologies. Find out why on-demand close is the future for R2R. Digital technologies are fundamentally changing the way insurance claims are processed, with huge potential customer service and efficiency gains. But what needs to change for touchless claims to become a reality? Digital based financial spreading has a lot of potential and capabilities in the world of commercial banking, this also generates risk management impact. Chatbots can be used to dramatically improve the effectiveness of a carriers internal staff. By freeing that staff from a majority of administrative tasks and providing them timely information, staff can focus their time on servicing existing and potential clients. This will have a positive impact on policy renewals, client satisfaction, and work volume. The initial deadlines for the new lease accounting standards are less than a year away. Yet most companies are just beginning their leasing accounting projects, having been focused on revenue recognition for most of the past twelve months. With an extension of the compliance deadlines by IASB or FASB unlikely, companies will have to decide fast what strategies they should take to get ready to comply by this year end. • What updates to processes, systems and controls will be needed to achieve compliance? • How can new technologies and delivery models be used to accelerate the project? • How can accounting organizations minimize project costs and realize optimal ROI and outcomes from the project? Ai applied to fraud allows an insurance carrier to more effectively, efficiently, and speedily detect fraud compared to traditional manual-intensive methods. Using advanced technologies, harnessing big data, and employing network graph analytics along with machine learning techniques creates a powerful approach to detect fraud and helps address many of the challenges faced by insurance companies. Hear how insurer Tryg tackled the challenges associated with operating across many languages and geographies using a language neutrality engine. Digital is no longer the next big thing. It is already radically altering the way enterprises run and compete. Yet 4 out of 5 companies still say that they should be getting more from digital. Watch Bill Ruh, Chief Digital Officer of GE, and Tiger Tyagarajan, CEO, Genpact as they share their perspective on how enterprises can maximize the impact of digital to drive higher efficiency, growth and agility. The ability to automate the last mile of the work that most companies do manually, by using technologies like machine learning, cognitive computing, deep reasoning, natural language processing, and others, is what drives disruptive results. Sanjay Srivastava, Chief Digital Officer of Genpact, discusses how to move beyond best in class to focus on best possible outcomes as part of an organization’s digital transformation. Gal Horvitz, SVP Genpact Digital, and Founder and CEO at PNMsoft, a Genpact Company, discusses the challenges companies face when changing business processes. He outlines the solutions Genpact offers through design thinking, dynamic workflow solutions, and system integration, to bring about quicker and more effective change. Genpact (NYSE: G) is a global professional services firm that makes business transformation real. We drive digital-led innovation and digitally-enabled intelligent operations for our clients, guided by our experience running thousands of processes for hundreds of Global Fortune 500 companies. From New York to New Delhi and more than 20 countries in between, Genpact has the end-to-end expertise to connect every dot, reimagine every process, and reinvent companies’ ways of working. Transformation happens here.